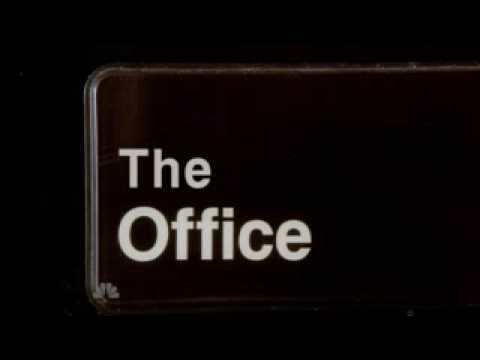 List Rules Vote up the best behind-the-scenes stories from The Office. The Office is one of the greatest shows of all time. And too many people do that hipstery thing where they say the British version is better, but they're wrong. Nothing is better than the US cast of characters in The Office because nothing beats Jim and Pam. Their love is as pure as moonlight, and they're hands-down one of the best couples to ever grace a sitcom. Fans of The Office sure do love their Scrantonites, and what better way to deepen that love than reveling in behind-the-scenes stories? As you can imagine, from the outside, making The Office looks like it was a hoot. However, there's more to it than just blooper reels. After nine seasons, there's so much to love about this show and about the people behind it. Admittedly, the show has left many unanswered questions, which has spawned numerous fan theories about The Office. But! What about true stories behind the beloved sitcom? Compiled here are real tales about The Office, many of which will make you squeal (like when you saw Pam and Jim's first kiss). Check them out below and vote up the greatest stories of what went down behind the scenes in The Office. Crazier still, John Krasinski and BJ Novak graduated the same year at Newton South High School in Massachusetts. However, they actually knew each other long before that, as they were on the same little league team as kids. Novak, who now keeps a picture of their baseball days in his house, said it felt like a dream because "John from high school" is randomly on this mega-successful TV show with him. After Krasinski got the role of Jim, he and some friends traveled to Scranton, PA, to scope out the place. He took a number of videos while he was there, and they ultimately ended up being repurposed for the opening credits sequence. If you are an Office fan, this news is not remotely surprising because their love is so pure, like a unicorn. Plus, it's the greatest piece of knowledge you'll ever be given as it cements the very foundation of your being. In Season 3, episode 1, "Gay Witch Hunt," Michael tries to figure out which of his office-mates is gay. He discovers that it is Oscar and they engage in some improv where a kiss occurs. Originally, it was never planned for Oscar to be gay. The writers for the show knew that they wanted Michael Scott to be wildly inappropriate about homosexuality in the workplace, but they hadn't worked out all the details. One day, during a table read, the actor Oscar Nuñez (who plays Oscar) wore a pink shirt, and voila! The writers decided his character would be gay, as Michael Scott would immediately assume a pink shirt equated gayness and it would lead to the right kind of inappropriate office behavior.